There is considerable confusion as to the difference between slate and flagstone. In many discussions on this topic, terms such as shale, slate, limestone, bluestone, paver, flagstone and landscaping stone are bandied about. Unfortunately, this only serves to further confuse the issue. Slate and flagstone are similar but have distinct differences. Flagstone is the general term used to refer to a number of sedimentary and metamorphic rocks. 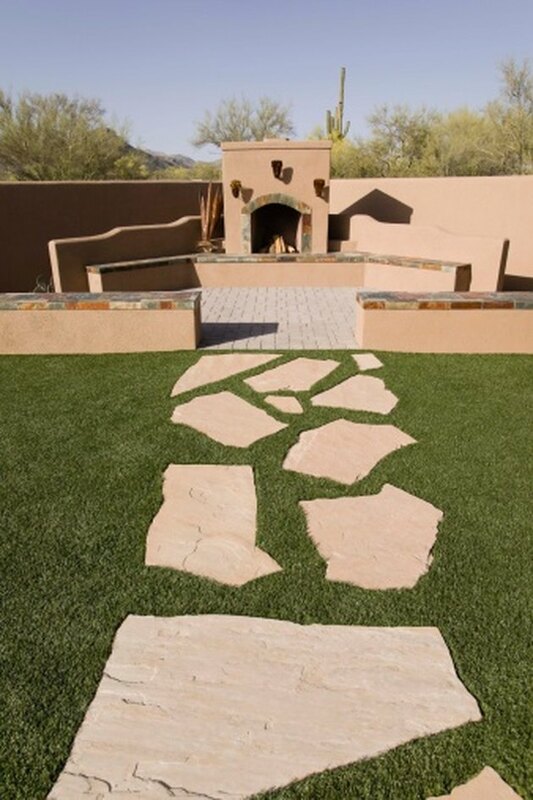 These types of stone are called flagstone because they tend to split easily into flat segments that can be used to pave walkways, build rock walls and serve in any number of creative home and garden uses. When someone refers to a rock as "flagstone," they are not referring to the stone's proper name, only to its suitability for use as a paving tone. Slate is a a type of rock often referred to as flagstone. In reality slate is a low-grade metamorphic rock. Slate is popularly used for flagstone because it is very easily split into thin layers and is extremely common and reasonably priced. Slate is actually the metamorphosed form of the sedimentary rock shale. Shale, the base component of slate, is a fine-grained sediment that forms into rock when exposed to pressure over a long period time just below the earth's surface. It is comprised mostly of organic matter that settles into mud and builds up until the pressure turns it into shale. The large amount of organic matter in shale makes it an ideal source of natural gas. Metamorphism is the process by which shale is converted into slate. Over time, geological processes can cause shale to move deeper into the earth's crust. There, pressure and heat increase tremendously. Shale exposed to these extreme conditions for long periods of time undergoes chemical and textural changes that eventually change it to the metamorphic stone we call slate.